A story that began with Wilhelm Scheidt still continues today – one of trend-setting. The company has always adapted to the necessities of the times and the markets. 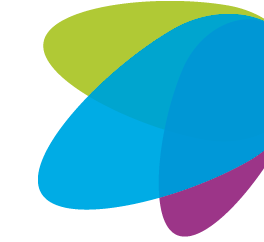 This has helped us become a renowned name in the industry. 1889 Wilhelm Scheidt founds his construction company in Herford. 1953 Founding of the Rinteln factory, the foundation of an impressive company development. 1954 New construction of a modern workshop for the production of spun concrete pylons. 1959 Expansion of production by a hall, a modern office building with apartments and social rooms. 1960 Commissioning of a new central SCHEIDT mixing plant and the first fully automatic transport facility in Germany for concrete in monorail conveyors – both innovative developments from SCHEIDT. 1965 Production expansion and construction of prefabricated reinforced concrete garages. 1967 Further development of production: The first finishing stations for transformers are now manufactured. 1984 Departure of the company directors from the construction company in Herford. 1988 Cessation of production of concrete pipes in favor of further specialization of the operation in reinforced concrete transformer stations. 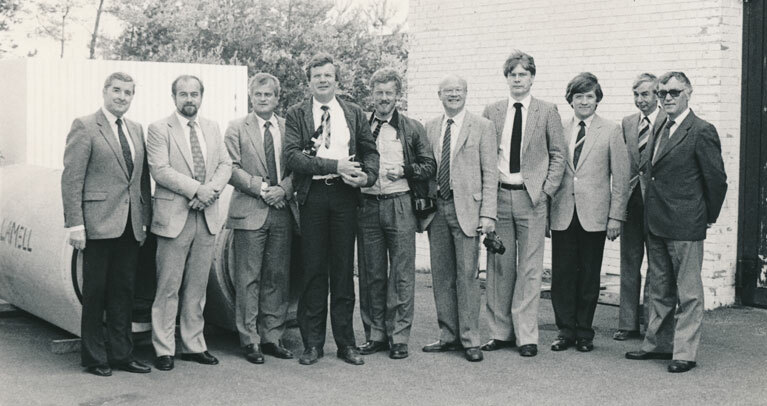 1990/91 Opening of the first branch of the company in Hoyerswerda (Saxony) and start of production of reinforced concrete transformer stations. 1995 Cessation of production of concrete pylons for capacity expansion/enlargement in favor of the production of walk-in stations and switchboards. 1996 Expansion of the company’s branch in Arnstadt (Thuringia). 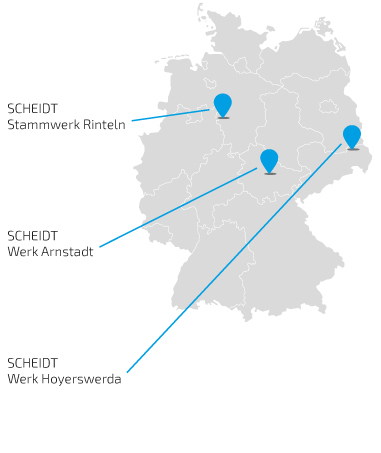 2010 SCHEIDT builds a new production hall in Arnstadt. 2012 Renewed expansion of production capacity through the construction of a new production hall in Hoyerswerda.